This year I’ve watched from the sidelines as a few of my friends have accrued a lot of wealth through cryptocurrencies. So after a few months of research, I finally got involved, and immediately turned $200 into $1000 in my first month of action. In this article I document everything I learned along the way. I think financial speculation is one of the biggest drivers of wealth inequality. So on the one hand, I have a lot of moral skepticism about economic activity disconnected from productivity. 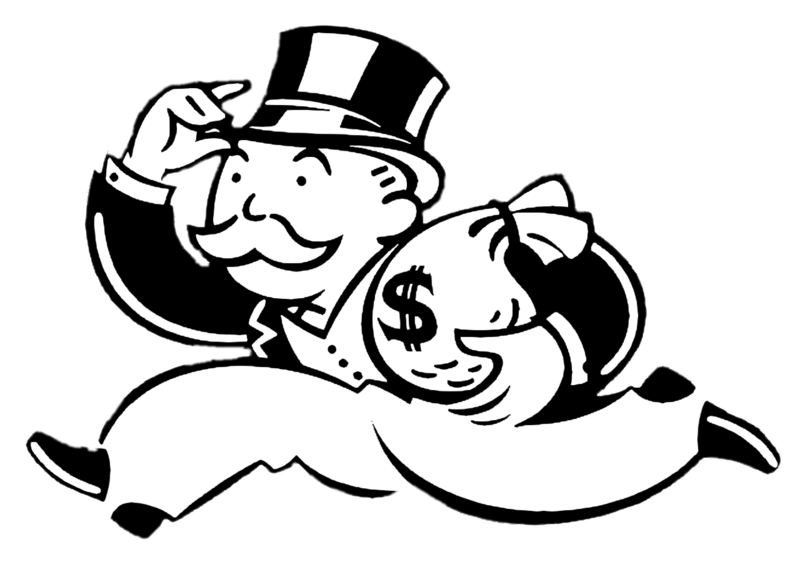 Pragmatically though, my millionare friends seem to have more impact than my broke activist friends. Maintaining a critical analysis of capitalism while participating in modern society is a confusing game of choose-your-own-adventure. I don’t have a guaranteed method for making the right trade-offs between “doing good” and “doing well”. My best guess is transparency and mutual aid. Transparency — I’m globally privileged but by local standards I’ve been broke all my life: I’ve never had more than about $2500 in my bank account. If I get wealthy I’ll let y’all know. I invite accountability from anyone I’m in relationship with. Mutual aid — each one, teach one. If there’s free money to be made, let’s make it together. I have mentors who taught me to view wealth as an opportunity to be more generous. So I wanted to share what I’ve learnt so far, and invite you all to learn along with me. Maybe we can make a lot of money together, pay off our dumb debts, and have more time for the work that is most meaningful? Here’s the headlines of my journey this month. If you’re playing with digital money you really need to get wise on security. My friends at MMT have pulled together great resources on this topic. The short version: get a good password manager, lock it with a very secure pass phrase, use it to store secure passwords for all the wallets & accounts you need for investing and trading. Back it up in multiple places. Learn about secret sharing so you can safely distribute copies of your backups with your friends. These are extremely volatile markets, only invest what you can afford to lose, don’t forget about tax, be alert to the real risk of gambling addiction. Do research, pay attention for a good chunk of time before you decide to put any money anywhere. Don’t just listen to me, I have literally been playing this game for a month. Bitcoin (BTC) is the biggest one. Also the most energy-guzzling, so be sure to plant a bunch of trees with the 6X returns you wish you made last year. Ethereum is the next most popular. It’s more interesting than Bitcoin because it is a decentralised computing platform, as well as a currency (ETH). Many smaller coins are built on top of Ethereum (these are referred to as ERC20 tokens). I got NZ$100 worth of BTC and NZ$100 of ETH from easycrypto.nz (they are regulated by the NZ govt so seemed safe to me). Then you have thousands of “altcoins”, which are all upstarts competing to be the new kid on the block. New coins launch with an “ICO” — the initial coin offer. It’s like a crowdfunding campaign. Companies use an ICO to raise a bunch of money on the promise of some cool product they’re going to make. At the end of the campaign, the tokens enter the market and the people holding them hope they increase in value. Here’s an example of an ICO listing website: ICO Drops. A strategy is a guess that guides your behaviour. For instance, maybe you think that sooner or later all fiat money will be replaced by decentralised digital money, so there’s some vague logic that suggests buying digital money now is likely to pay off in future. In that case, just buy a bunch, hold on to it, and don’t pay too much attention. People talk about ‘fundamental’ and ‘analytical’ investment. Fundamental means, you look at the thing you’re investing in, and decide whether it seems valuable. E.g. I liked the look of the Holo project: I think they’ve got a credible shot of replacing Amazon as the internet’s big supplier of storage and computing, and their model decentralises the profits as well as the data. I supported their ICO in the same way I would support a crowdfunding campaign: it’s a tangible way to contribute to something I want to see in the world, and maybe I’ll get a payout one day too. My Holo strategy paid off. 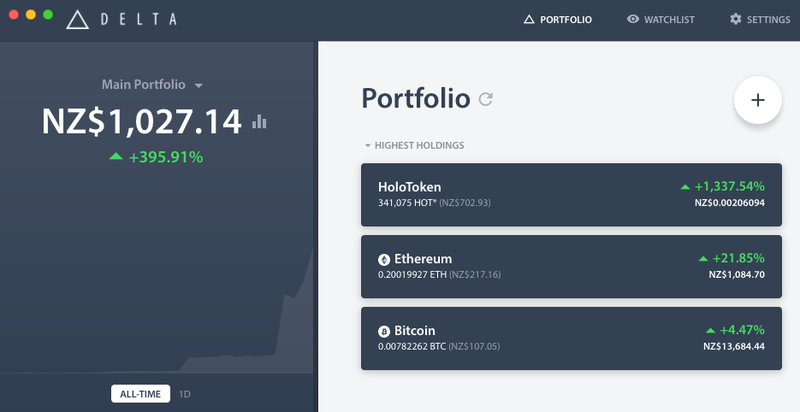 I put in about NZ$50, when 1 million HoloTokens (HOT) cost 0.23 ETH. Then their ICO campaign went very well, and the price jumped to 1.57 ETH per million. When the price was high, I traded out 1/4 of my HOT and recouped all my investment, plus a little profit, and still have 3/4 left to gamble with. I use a brilliant browser extension called MetaMask. You log in to Metamask (with your great secure password), and then your identity comes with you as you visit different websites that interact with the Ethereum ecosystem. So far I’ve only traded in ETH and HOT, which is an ERC20 token (part of the Ethereum ecosystem). Different coins require different exchanges (trading markets). I used a marketplace called IDEX to make my trades, because it is the only market trading HOT right now. The last few days have had intermittent service because of the heavy traffic. I don’t know if it is trustworthy but hey I’m high on gambling energy so let’s throw caution to the wind. On IDEX, you can access your MetaMask wallet with one click (yay no new username and password). Then you deposit some coins from your wallet into your IDEX account. Then you can buy and sell in the market. Then you withdraw back from IDEX into your wallet. Exchanges have been hacked in the past, so I don’t want to leave my money with them for too long. I use Delta for tracking profit and loss in my portfolio. You can connect it to a wallet and it will try to track everything automatically. I just use it in manual mode, manually adding in any transactions that I make. It makes pretty graphs and sends you notifications that interupt your intimate conversations. That’s it! This is everything I’ve learned after a month. I’m sure I’ve misrepresenting a lot of information in my naïve zeal, so please add your experiences and we can learn together. I’d especially love to hear how people deal with the ethical dilemmas of all this funny money. e.g. did you know Unicef NZ takes crypto donations? p.s. This story is licensed in the public domain, no rights reserved, i.e. do what you want with it. Html and markdown formats available for reproduction. I write about working together (http://richdecibels.com). Loomio cofounder (http://loomio.org). Enspiral member (http://enspiral.com).